Kosiv, Sylvestr [Косів, Сильвестр], b ? in the Vitsebsk region, Belarus, d 13 April 1657. Prominent Orthodox church leader, metropolitan, and writer. He studied at the Vilnius Brotherhood School and at the Catholic academies in Lublin and Zamość (Zamostia Academy), then taught at the Lviv Dormition Brotherhood School. In 1631 Metropolitan Petro Mohyla invited him to become a lecturer at the Kyivan Cave Monastery School, which in 1632 became a college (later called the Kyivan Mohyla Academy). He soon became the prefect of the college and a close collaborator of Mohyla's. In 1635 he was appointed bishop of Mstsislau, Orsha, and Mahiliou and began implementing sweeping reforms of church administration. In 1647 he became the metropolitan of Kyiv. 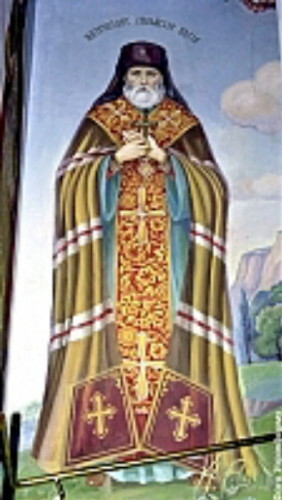 Kosiv's tenure as metropolitan, which coincided with the Khmelnytsky rebellion, was a greatly unsettled period in the history of the Ukrainian church. In politics Kosiv opposed a union with Moscow as well as an unconditional alliance with Poland; although he gave a lavish greeting to Bohdan Khmelnytsky upon the latter's arrival in Kyiv in December 1648, he was also critical of Cossack policies. He favored an independent Ukrainian Orthodox church under the ultimate jurisdiction of the Patriarch of Constantinople and resisted pressures for the subjugation of Kyiv metropoly to Moscow. He was the author of Exegesis ... (1635), an essay in defense of Orthodox schools, and Didaskaliia ... (1637), an essay about the seven sacraments. He also published a Polish translation of the Kyivan Cave Patericon (1635).